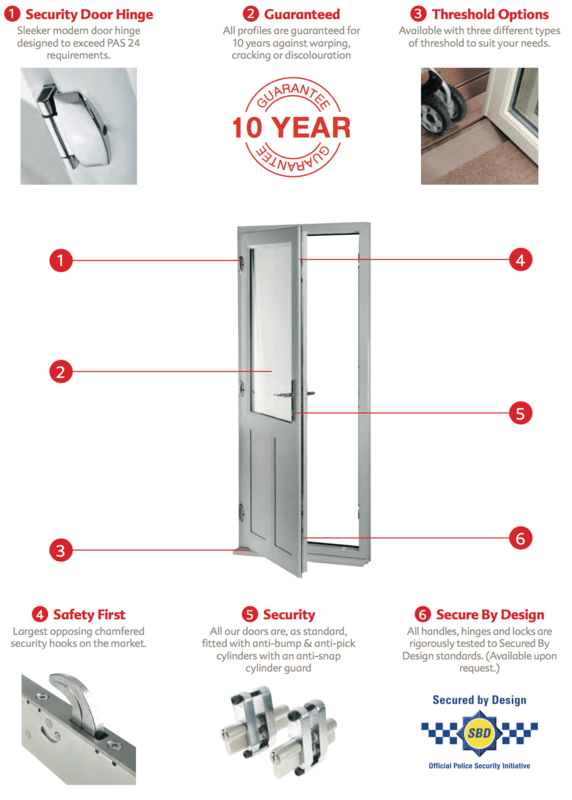 Our entrance doors are designed for long-life performance, even in the busiest households where they are subjected to knocks and scrapes every day. With internal webbing and thick PVC-U walls, our doors are designed to withstand and the rigours of everyday use without scratching or denting. PVC-U doors require minimal maintenance. They don’t need to be painted or treated. Occasional wiping with a damp cloth is all they need to maintain a fresh, good-as-new appearance. Furthermore, PVC-U doesn’t warp or crack like other materials, so you can be sure your door will maintain its original appearance and performance for years to come. Your entrance door is the gateway to your home. It reflects your tastes and creates that all-important first impression. It’s important that your entrance door complements the style of your property, but it also needs to be functional and secure - durable enough to withstand everyday use and secure enough to protect your property against intruders. Our entrance doors, constructed from the same robust PVC-U components as our windows, are the perfect solution, combining aesthetic appeal with practicality and low maintenance. 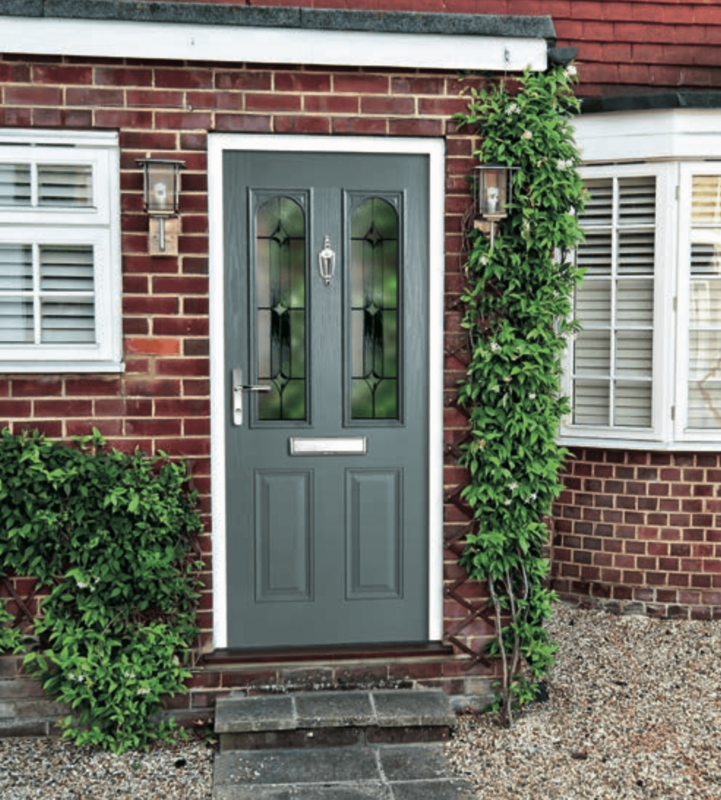 We offer an outstanding range of solid timber core or ridged foam filled composite doors that combine modern, contemporary or classical styling in a full range of distinctive colours. Each door is made up from a highly durable plastic outer skin with the latest in multi-point-locking systems for unbeatable security.